Ashley, Fraser and Courier Colin are putting on this year's Cranksgiving race. 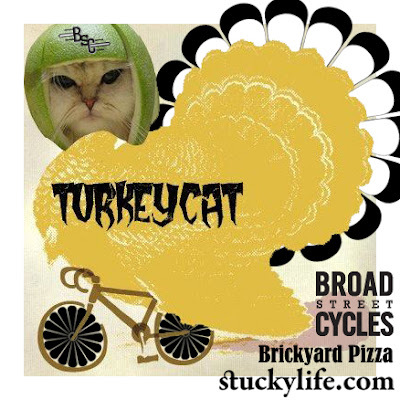 Broad Street Cycles is hosting the preamble, and although they don't know it yet, Brickyard Pizza will be hosting the after party. 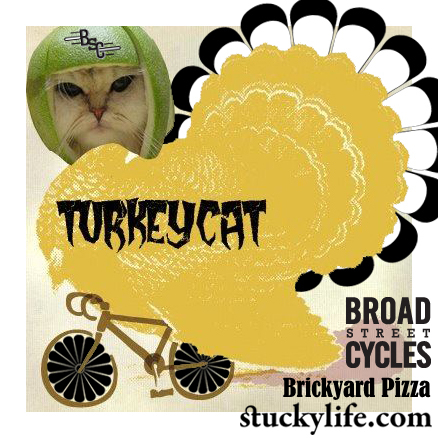 Check out the Turkeycat event page for more info.